I started Kerala Recipes as a hobby to share some of my favourite recipes with my family and friends. This blog has become a source for lots and lots of recipes from my collection. I often end up referring my blog when I invite guests or throw a party. 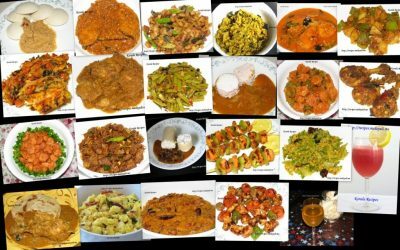 Kerala Recipes have become well known all over the world – specially the Nadan Kerala Dishes like the tasty meen curries, thoran, sambar etc. This Website is for all Keralites who love food and are eager to learn cooking and try out new Recipes. My blog is dedicated to finger licking Malayali Recipes, English Malayalam Cooking Glossary and more. You will also find a few recipes belonging to different Cuisines, in addition to Malayalee Recipes and Indian Recipes. Hope You Enjoy your time here !!! You can always mail me your feedback and suggestions to jisha [at] pleasemail [dot] me.